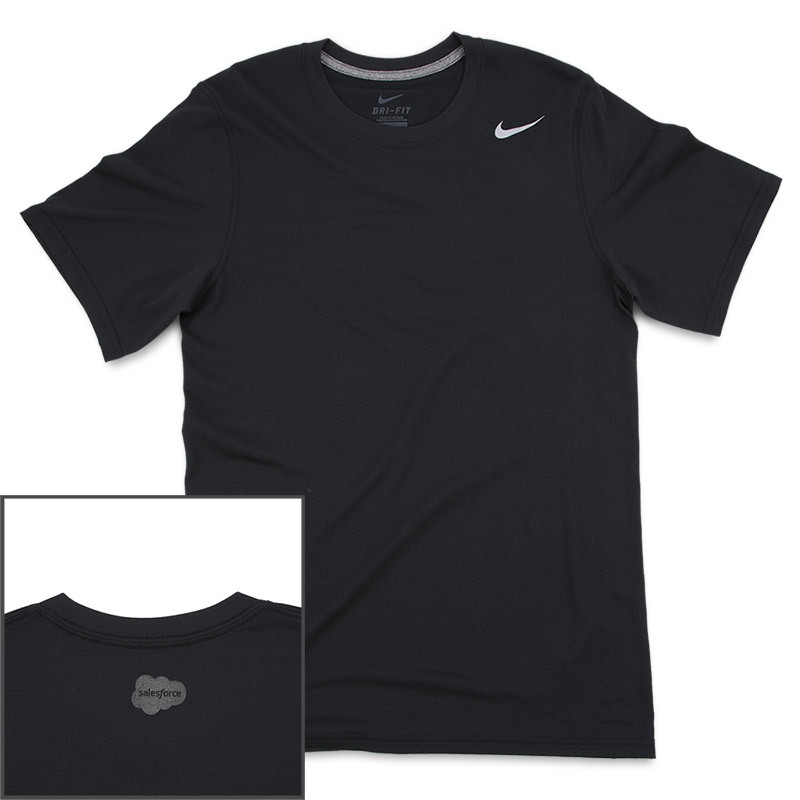 Black Nike Dri-FIT Poly Short Sleeve Crew T-Shirt helps you stay dry and comfortable with Dri-FIT fabric. 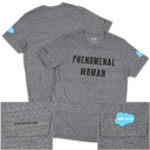 It wicks moisture away from skin to the fabric`s surface, where it quickly evaporates. Swoosh design on left chest. 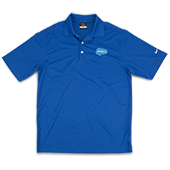 100% polyester Dri-FIT fabric. 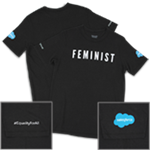 Saleforce Cloud logo imprinted on back yoke of neck in reflective ink.